Staged homes sell faster and for more money than non staged homes, which can sit on the market and require significant price reductions and additional carrying costs. Nationally, 94% of ASP (Accredited Staging Professionals) staged homes sell on average in 29 days or less versus 145 days for non staged homes. 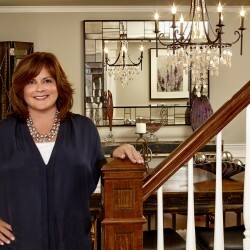 PJ & Company Staging and Interior Decorating and our team of accredited home stagers and skilled professionals provide full service staging to prepare a home to sell quickly and for top dollar in today’s competitive real estate market. Our services also include painting, floor refinishing, carpentry, and general home improvement that makes the home selling process turnkey for clients. Once a homeowner makes the decision to sell their home, it becomes a product that must be prepared and marketed to appeal to today’s buyer. We work with homeowners and realtors as partners in the process, guiding them with our expertise and helping them emotionally detach from their home in order to transform the property into a product that appeals to a wide ranger of prospective buyers — no matter what their taste or style. Our team stages owner occupied as well as vacant properties including new construction homes. In addition to working with homeowners and realtors, we also developed an award-winning staging program with nationally known luxury home builder, Toll Brothers. We start the staging process with an in-home consultation, touring a home inside and out and identifying it’s best features as well as improvements that will enhance the property’s appeal with buyers to help it sell quickly and for top dollar. After we’ve visited a home and taken photos, we’ll identify and propose a range of staging options from decluttering and furniture rearrangement, to updates in key living spaces such as kitchens or baths that will support and often increase the list price of the property and engage buyers. We’ll take care of all of the staging preparation from paint color selection, to furniture rentals if needed. We also offer packing and organizing services for those who don’t have the time and need an extra hand. We will work with our client’s existing furniture and accessories whenever possible. If needed, we’ll establish a budget to shop for additional accessories, updating lighting and window treatments in order to appeal to as many buyers as possible. If improvements or updates are agreed upon for the home, such as flooring or kitchen and bath updates, we will also coordinate your project with our skilled team of experts. Our full service team will execute your stage in just one day so that your home can be listed for sale as soon as possible. To learn more, check out our Why Stage? and Staging Tips, download our Staging Flyer, view our Staging Before and After Transformations in our Portfolio, or contact us to get started.